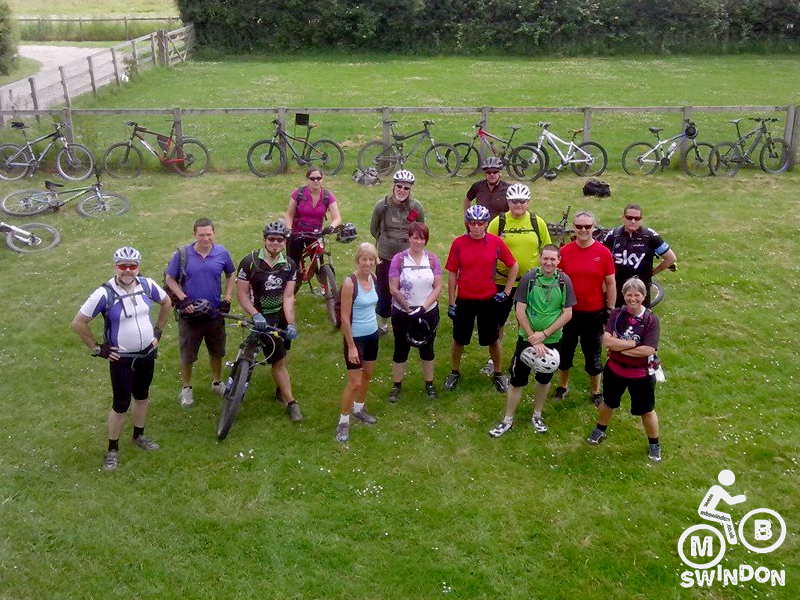 Kate Davidson will lead this social ride of around 25 miles starting at Postern Hill Car Park, Marlborough. The route will be non-technical and at a steady pace, and will mostly comprise woodland tracks, bridleways and lanes. 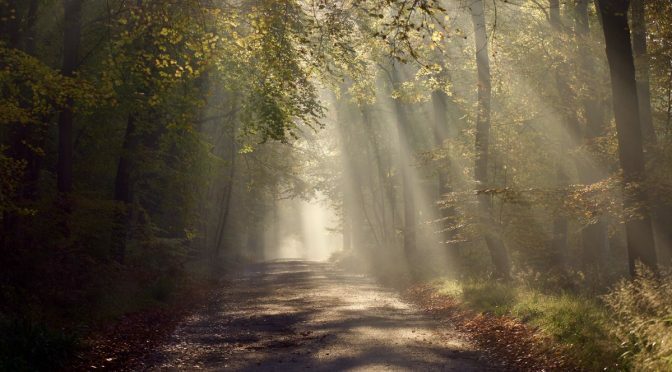 We’ll start at Postern Hill and make our way along the forest tracks to the end of the Grand Avenue and head towards Wilton, and through woodland to the outskirts of Great Bedwyn and then on to Ramsbury, via byways and bridleways, for a café stop, returning a slightly different way. Possible treats in store might include a windmill, an ancient chapel and a Tudor mansion and mosaic. Terrain will be woodland tracks, byways, bridleways, towpath and country lanes and a couple of railway crossings. There are a few fun, rooty bits which will probably be slippery. Please come equipped with anything you might need, and bring pennies for a cup of tea at the café. Meet at Postern Hill Car Park, Marlborough SN8 4ND ready for a 10am start. After a blisteringly hot summer that seems to have lasted forever, it was a bit of a shock to wake up to heavy rain on the morning of our Vale ride. The recce two weeks before was similarly sodden, and I was hoping the sun we’d all been so used to for the last six months would grace us with its presence, but alas not. However, MB Swindoners are nothing if not a hardy bunch, and soon the car park was filling with familiar faces, with others heading across the campground towards us, having ridden all the way from Swindon. Some, like Gary P, had driven even further afield from Gloucestershire! It’s great to get a decent turnout when the weather’s good, but even more gratifying when the weather is filthy. We headed off, 14 strong, into the forest; the rain kept falling but spirits were high as we set off. This route was a little different and headed in a new direction, over towards Pewsey, where I grew up. The hills around the Pewsey Vale comprise chalk – and the first big descent, from Fyfield Down, reinforced what all mtb-ers know: riding down wet chalk is like riding on ice. Luckily, with varying degrees of speed and finesse, we all got down in one piece and rode on towards Pewsey and, hopefully, tea and cake. 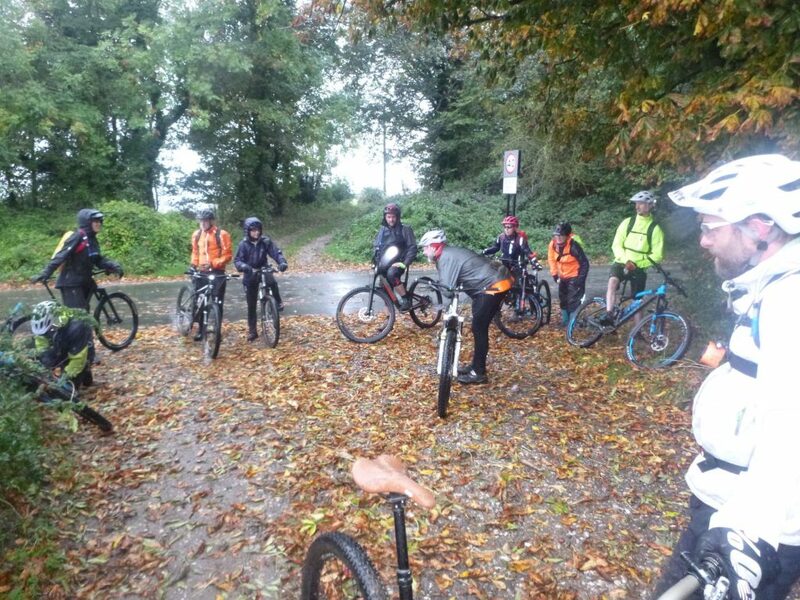 Praying that my proposed café stop, The Applecart, would take pity on us, we promised a healthy tip if they would accept a big group of soggy riders – they were happy to welcome us, and couldn’t have been more accommodating and kind. After a refuel (during which we soaked the floor so much they had to put out yellow hazard signs! ), we headed out of Pewsey towards Oare. Originally, the ride was to be around 30 miles long but at this point, I took the decision to cut it a little short due to the sharp drop in temperature and incessant rain – the long route could wait for another day. We cut across to Sunnyhill Lane and the base of Martinsell Hill and trudged up the short, but deceptively steep, track up onto the hill fort. There’s a well-hidden, but fun, sunken bridleway a little way along from this – in fact, the minute I mentioned we were due to turn sharp right shortly but couldn’t remember precisely where, the bridleway appeared suddenly, causing some of us to skid to a stop! This bridleway leads to the top of Martinsell Hill and the ever-popular grassy descent to the car park, which is always a hoot. From here we crossed the road into Mud Lane, still riding well despite the wet conditions, and back towards Savernake. Once back in the forest, we rode for another couple of miles or so and back to the start, dripping wet and chilly but pleased to have braved the elements. 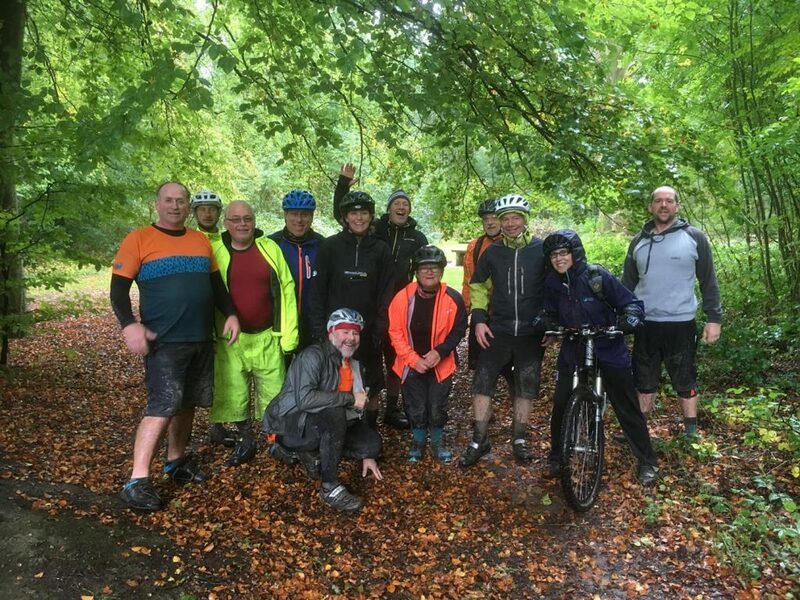 Cold, wintry rides are a real test of people’s commitment – but if this first ride of the autumn season was anything to go by, hopefully we’ll have some healthy turnouts over the next six months! Leading a ride can be a daunting prospect – what if everyone who promises to turn up doesn’t show? Here, though, the opposite was true – dozens of people I wasn’t expecting arrived, and they just kept on coming! What’s more, we had three brand new attendees in the form of newcomers Mark and Ruth, and our friend Mike – it was lovely to see Adrian again, with Ian also arriving just as we set off. We numbered 23 in the end, a superb turnout which I was thrilled with. Our big group snaked its way off through the forest with Dave acting as my back marker. 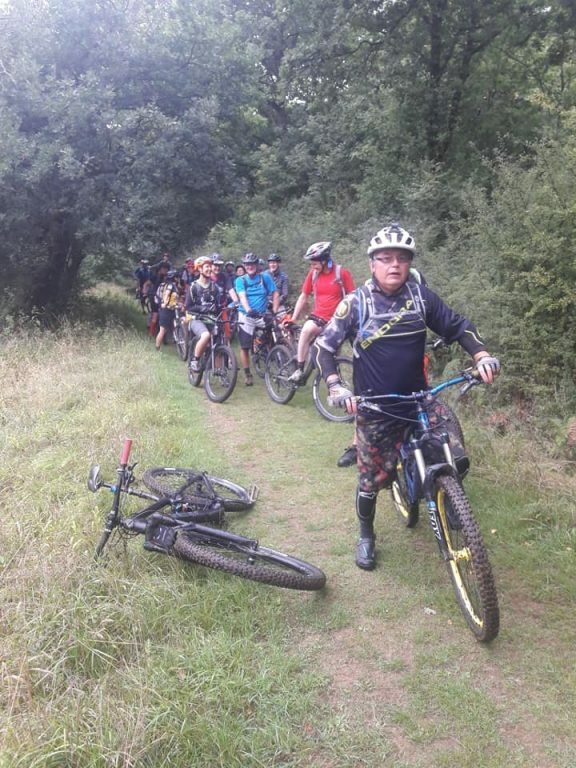 The Savernake trails are as familiar to me as the back of my hand, but it was so nice to share them with other members of the group. I’ve been adding various bits of singletrack to my forest explorations over the summer and this felt like one of the best routes so far, with a lovely flow to it. Stopping briefly at the column, we then rode down through Durley, crossed the Burbage road and up Ram Alley to the byway which took us to Wootton Rivers. I wasn’t sure how the diversion to Wootton Rivers would work, as it wasn’t on my original plan and had to be shoehorned in at the last minute due to a pesky fence going up, but everyone seemed to appreciate the stop-off at the pub. After our break, we picked up the canal towpath for a mile or so, then made our way past Broomsgrove Farm and on towards to the road climb to Martinsell. This is a nasty, short little climb and, as is usually the case, most people shot past me. We huffed and puffed our way up the hill to the car park, and along the track to the very top of the hill to enjoy the far-reaching views and have a drink and a snack – you can see for miles across the Pewsey Vale from here. The descent down Martinsell is a lot of fun if the cows aren’t in the way (and luckily, this time they were well out of it), with a chance to get some air over the humps and bumps, and that’s exactly what some of us did! Everyone seemed to like this bit and there were lots of smiling faces at the end. 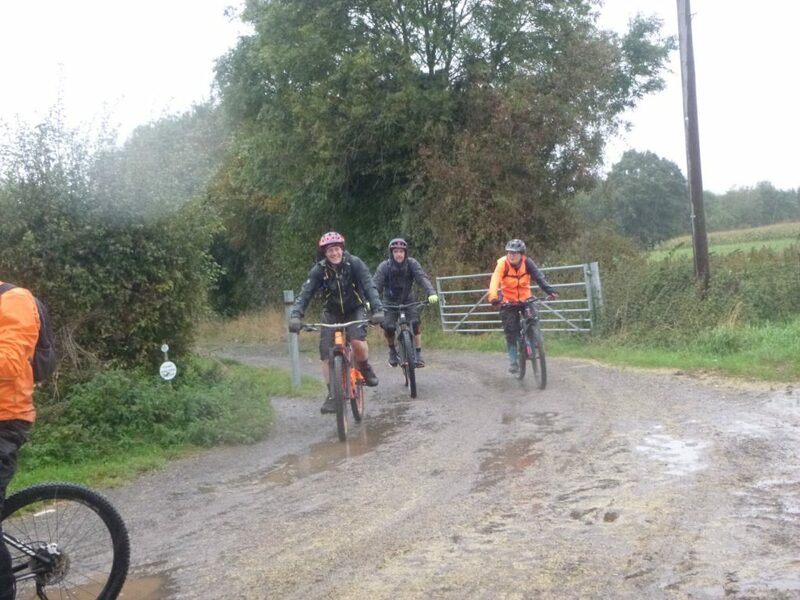 We then headed across the road to Mud Lane – the start of this bridleway is a bit rough and brambly, but it soon opens out to a long, flowing track of around two miles long, and was another highlight of the ride – you can really get a decent speed up. Cutting through Hat Gate picnic site and crossing the road back into the forest, we turned left at the column and headed down the fire roads back to Postern Hill campsite. Luckily for us, an ice-cream van was blocking in many of our cars so some of the group felt obliged to have one! I was grateful for the brilliant turn-out – thanks all for coming! 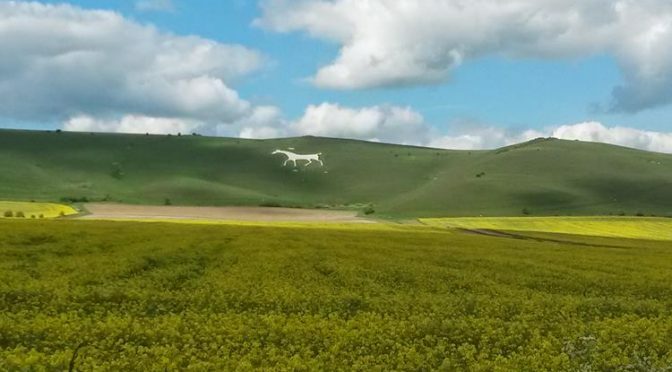 On October 6th, Kate Davidson will lead an open ride exploring the Pewsey Vale. This cross-country ride will start in Savernake Forest and head up (and down) the hills around the Pewsey Vale, hopefully making a Cafe stop en route. Kate will confirm the precise mileage after doing a final recce ride, but expect to ride approximately 25-30 miles, with a few hills thrown in. 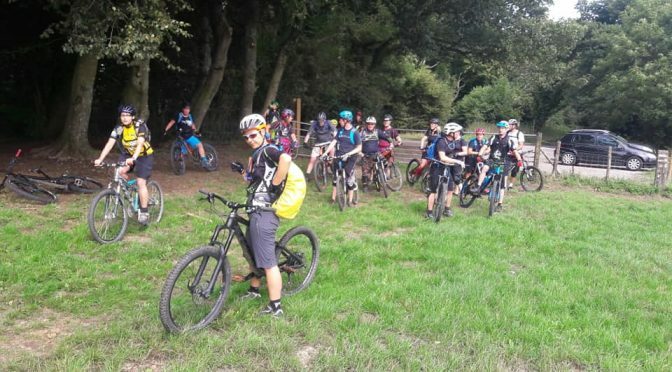 Kate Davidson leads this mixed ride, which combines the trails of Savernake Forest with the ups and downs of Martinsell Hill. 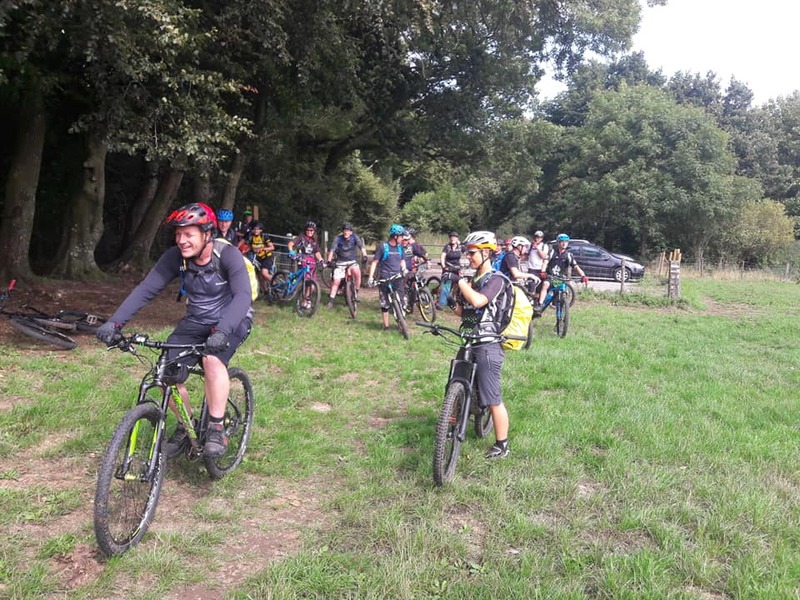 Expect beautiful views from the hill and varied terrain, including splendid woodland singletrack, byways and bridleways, country lanes and a cracking, grassy descent down Martinsell Hill. We’ll meet at Postern Hill campsite carpark, on the outskirts of Marlborough, and head into the forest. Those of you who came on my Savernake Spins earlier in the year will be familiar with some of the route; if not, you’re in for a treat! 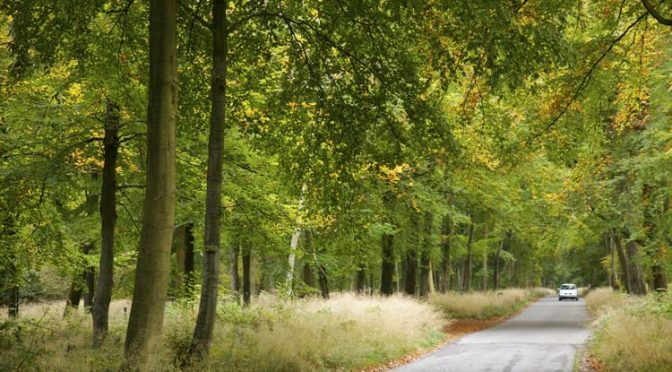 From Savernake, we’ll head across to Ram Alley following byways, bridleways and country lanes to Martinsell Hill. There’s a narrow, rocky/rooty section once we get on top of the hill – feel free to walk this if you’re a root-hater – but at the end of this is a long, grassy descent which is terrific fun and you can take it at your own pace – bat out of hell, or steady as you like. We’ll then ride along Mud Lane, cross the road back into the forest and ride back to the campsite. The route will likely come in at between 25-30 miles. There is nothing overly technical or particularly scary – the climb up to Martinsell Hill is short but very steep, and some may prefer to walk it; there’s the rocky bit of singletrack at the top – and the descent, which can be ridden as fast or slow as you like. This will be a social ride at a sensible pace, which will hopefully be a lot of fun. Although not listed as a ‘Novice-friendly’ ride, everyone capable of riding around 30 miles is welcome, and no-one will be left behind. I am looking into the possibility of incorporating a stop at Crofton Beam Engines for coffee & cake or lunch, which I will confirm after my recce. In the absence of a cafe stop bring anything you feel you may need such as water and snacks, dress for the weather and make sure you bring anything you may need such as spare tubes, etc. 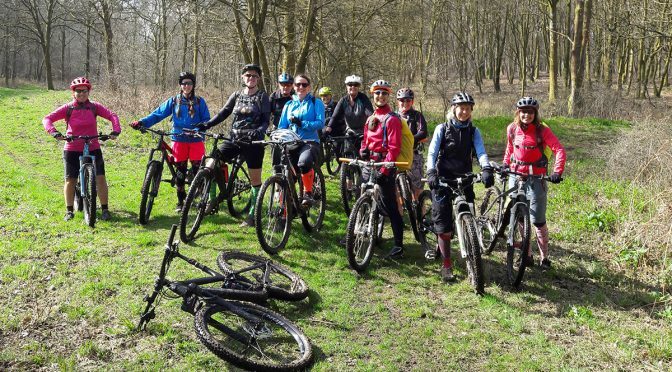 Following the success of the Savernake Sisters’ Spin ladies’ ride, Kate Davidson is repeating this picturesque rural ride as an open ride, taking in the tracks and trails of Savernake Forest and a few local historical landmarks, with a cake stop en-route. 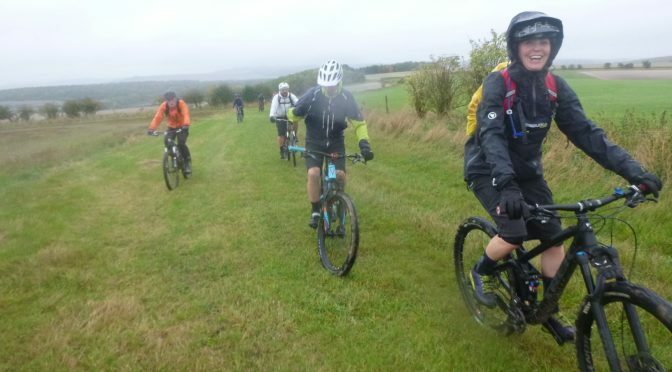 This will be a novice-friendly ride, with nothing technical, but you should be comfortable riding 17 miles over mildly undulating terrain with some muddy bits and a few short climbs along the way, and there is a short section where you’ll need to carry your bike around a fallen tree. It will be suitable for any members who haven’t done much winter riding and want a bit of a social or to get back on the bike, and new riders to the club would be most welcome. 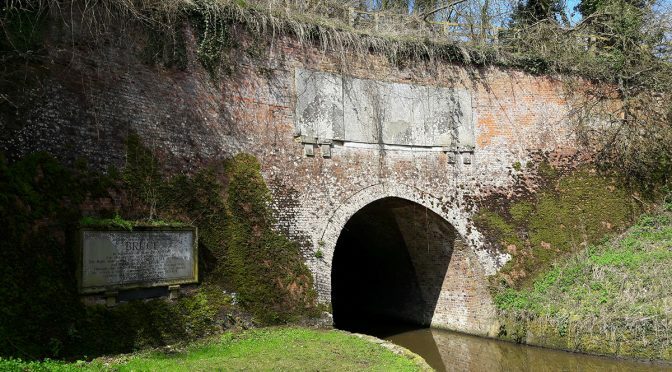 Anyone wanting to supersize can ride in from Swindon along the railway path, which leads almost directly to the campsite, and is around 12 miles each way. We’ll meet at Postern Hill campsite carpark on the outskirts of Marlborough ready for a 10.00am start. 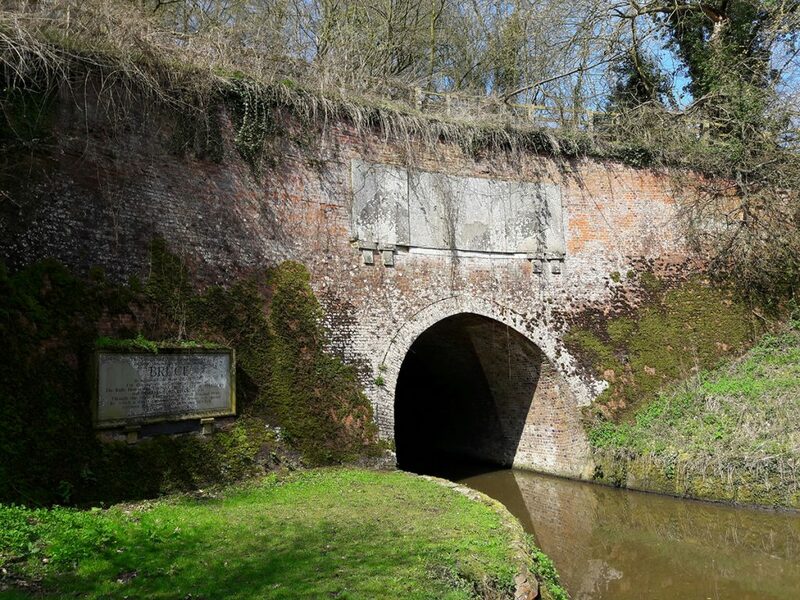 From the campsite we’ll ride into the forest, picking up some nice singletrack and fire roads, emerging at the far end of the Grand Avenue and riding onwards to the Kennet and Avon Canal towpath, stopping for tea and cake at the Engineman’s Rest Café at Crofton Beam Engines. We’ll then head back to the forest and make our way back to the campsite. Athough it should be springlike, it may be wet on the day and/or muddy in the forest. There is a café stop halfway around, but bring anything you feel you may need such as water, snacks, weatherproof coat and spare tubes etc. Riding up through Savernake Forest on Saturday morning through a fairly thick mist, it was with trepidation that I headed on up to Postern Hill Campsite. Winter seems to have lasted forever this year, with endless rain and cold, and parts of the forest were still looking pretty muddy. However, when I arrived, the sun was trying its hardest to poke through the cloud and when the first ladies Jane, Hazel and Sarah arrived, the campsite was starting to brighten up – and by the time everyone else arrived, we were bathed in warm spring sunshine. Eleven ladies in all turned up (special praise goes to Hazel, Sarah, Debbie, Sharon, Hilda-May and Trudy, all of whom rode from Swindon to Marlborough, Hazel all the way from Lyneham!) 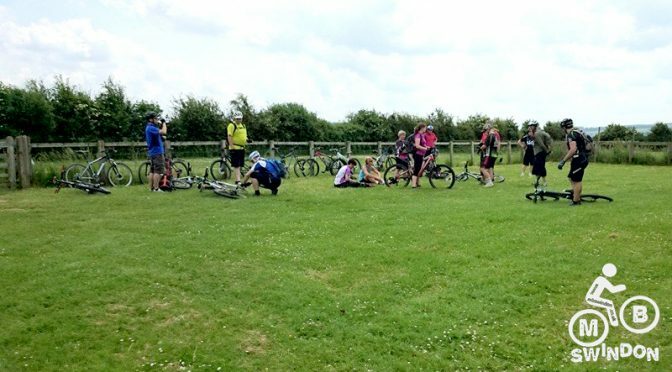 – a great turnout and a real boost to me leading my first ride. Heading out of the campsite down to the Grand Avenue, we crossed over the Avenue and picked up some lovely, mostly dry singletrack through the woods. Coming out at Amity Drive, we whizzed along the fire road for a mile or so, then had to negotiate our way around a fallen tree and plough through some pretty boggy bridleway leading to the next section of fire road, and then onto a lovely long tarmac track which gave some of the ladies a chance to build up a bit of speed, taking us to the far end of the Grand Avenue. From here we headed back into the forest to make our way towards the Column. The latter part of this track was particularly soupy, some of us just about managing to get through it, and others simply having to give in to the relentless mud. Footings were lost, feet got muddy, wheels were spinning, and much swearing was heard as we inched our way forwards. 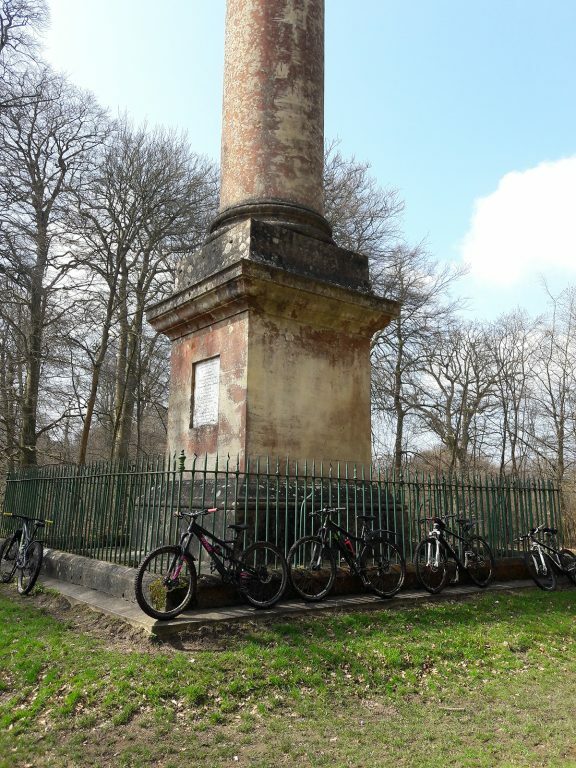 Eventually we emerged at Column Ride, and shortly after stopped for a bite to eat and to admire the beautiful Ailesbury Column, built in the 1760s to celebrate the recovery from illness of King George III. It was here that Sharon was treated to the arresting sight of my bare bottom, after I headed into the woods for a quick wee without noticing her. I did say I’d treat the ladies to new sights on this ride! After our quick pitstop we rode up the charmingly named Lover’s Lane, and down through Durley to the Kennet & Avon Canal towpath. After stopping to look at the beautiful inscribed 19th century and modern replacement stone plaques, carved by Lloyd of Bedwyn, on the east portal of the Bruce Tunnel, we rode along the towpath (in places pretty off-camber which could catch you out) to the Grade I listed Crofton Beam Engines – the oldest working Beam Engines in the world – where we stopped for a well-deserved lunch and a spot of sunbathing. Hilda-May got horizontal; cake, sandwiches, coffee and tea were ordered and after a seemingly endless wait, we eventually got our lunch. It would have been easy to stay all afternoon in the sun, but we made our way back and rode up through Crofton Farm, after which came the muddiest part of the ride – huge, deep tractor-wheel sized ruts filled with thick, gloopy water, and the only option was to get off and push. Eventually we made it through and rode on to St Katharine’s, stopping to look at the church, before riding a short way along the road back to the Grand Avenue. At the start of the Avenue, we turned left onto the Gallops Track, a nice, sweeping piece of old tarmac trail, then turned off at eight walks, riding past the old Christmas tree nursery and arboretum. From here we bounced down a muddy, rooty little chute that spat us out at a grassy clearing, and made our way back to the campsite. 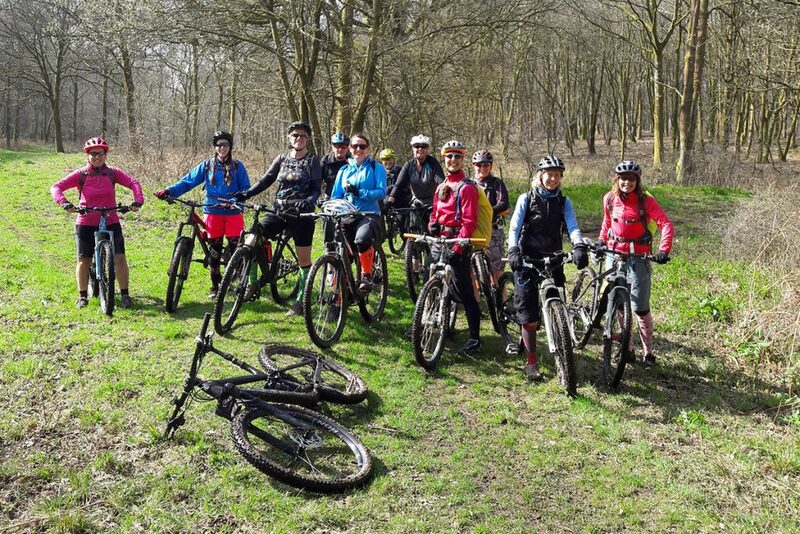 The blissfully sunny weather helped to make the ride special, but I was thrilled that so many ladies made the effort to attend my first led ride – I hope they enjoyed it as much as I did. Tom Scott will lead this popular Summer ride for the fourth year in a row. Towpaths, windmills, pumping stations and ice creams are the order of the day on this relaxed event. 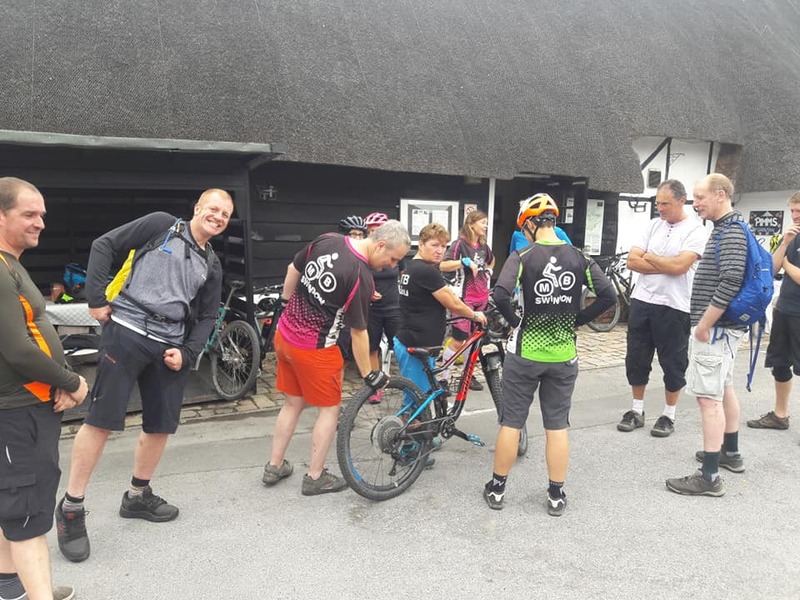 We will ride from Postern Hill, through Savernake Forest to Crofton and Wilton and have lunch by the canal (weather permitting) then chug on back! Nice and relaxed! You racing snakes – take a chill pill. Meet at the Postern Hill Car Park (OS grid reference SU198679) ready for a 10.00am start. 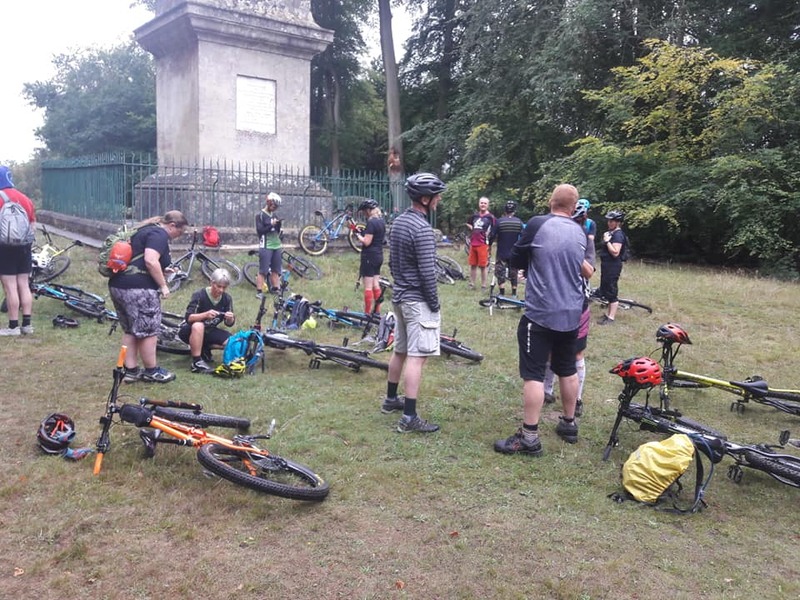 Read about a previous Savernake ride here. This will be a repeat of last year’s ride when we called at Wilton Windmill and Crofton Beam Engine. You will need to bring food and drink as well as spare inner tubes and a small tool kit for unexpected breakdowns. We will be passing a few shops as well. 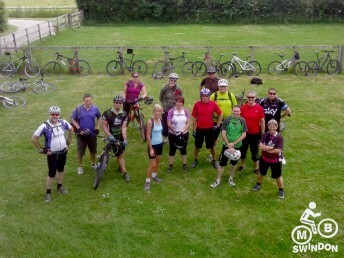 Read the ride report on last summer’s Savernake Spin here.